The number of students starting nursing courses in the UK has fallen for the second year in a row. With the figures for England this autumn down by 570 compared to this time last year, the RCN has demanded that the government review the scrapping of the nursing bursary and introduce a safe staffing law. The number in Northern Ireland is also down, but there are increases in Scotland and Wales. 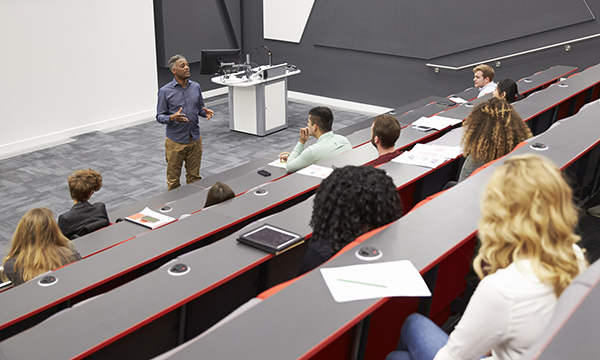 Figures released by the Universities and Colleges Admissions Service (UCAS) on Thursday show 26,890 people will take up places on nursing courses across the UK this autumn. This figure is 350 below last year’s. The figures cover the 28 days after A level results were published on 16 August. This is the period in which most people intending to go to university this year are accepted onto courses or apply through clearing, although the final deadline to be accepted is 31 October. RCN associate director of policy and public affairs Lara Carmona said the loss of the nursing student bursary was ‘driving down the number of trainees year after year’. ‘These figures are a harsh reminder for ministers of the need to properly address the staffing crisis that is putting safe and effective patient care at risk,’ she said. Ms Carmona called for each UK country to enact workforce plans to safeguard the recruitment and retention of staff, as well as incentives to attract more nursing students. There are 14,350 applicants for nursing courses who are yet to have secured places. UCAS said this could be for various reasons, including people not having achieved the right grades or not accepting places because of a change of mind. This is lower than last year. Health minister Stephen Barclay said in a written response to Green Party MP Caroline Lucas on 17 September: ‘The removal of bursaries and introduction of student loans for nursing degrees has increased the number of nursing degree places that are available. A Department of Health and Social Care spokesperson said the number of nurses on adult, acute and general wards has risen by 12,500 since 2010. ‘There are currently 52,000 nurses in NHS training, and we expect more to come as the clearing process continues this year,’ the spokesperson said.